With over 20 years of supplying kitting & custom packaging services globally to OEM and Government customers Orkal offers unique advantages such as streamlined source of supply, product availability and production line cost savings to meet your lean manufacturing goals. Our investment in software technology translates to in-house efficiencies allowing us to offer affordable kitting programs in any scope. 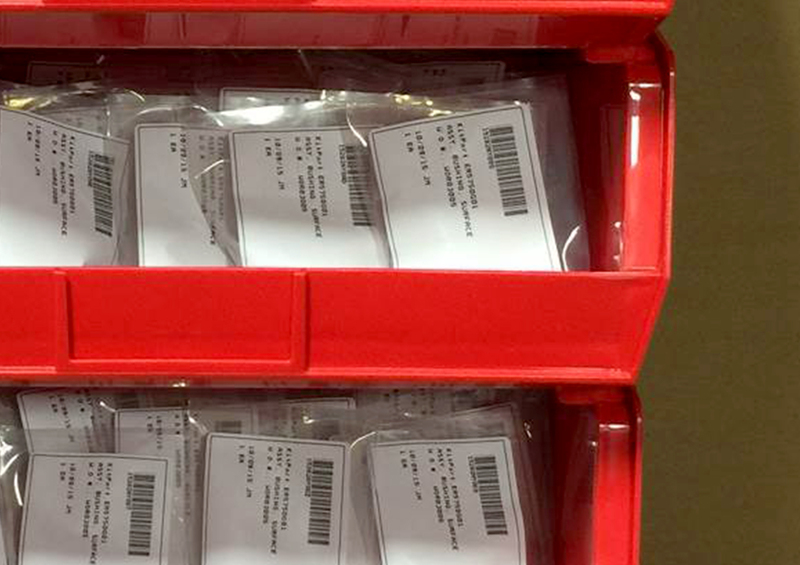 We offer full lot traceability down to each component with custom bar code labeling. Kitting content can range from basic hardware and components to more complex machined parts and tooling. Packaging is tailored to content size, ease of access, manufacturing environment, reusability and budget. Several solutions are offered to meet an array of criteria – Ad hoc, JIT (Just In Time) to the line or from an FSL (Forward Stocking Location). Ideal for large OEM, sub-assembly or MRO activity, a dedicated Orkal employee will be at your facility managing the kits, allowing you to focus 100% on your production or repair activities. The optimal balance of cost to value. This allows you to continue to be in control of placing orders for new kits. 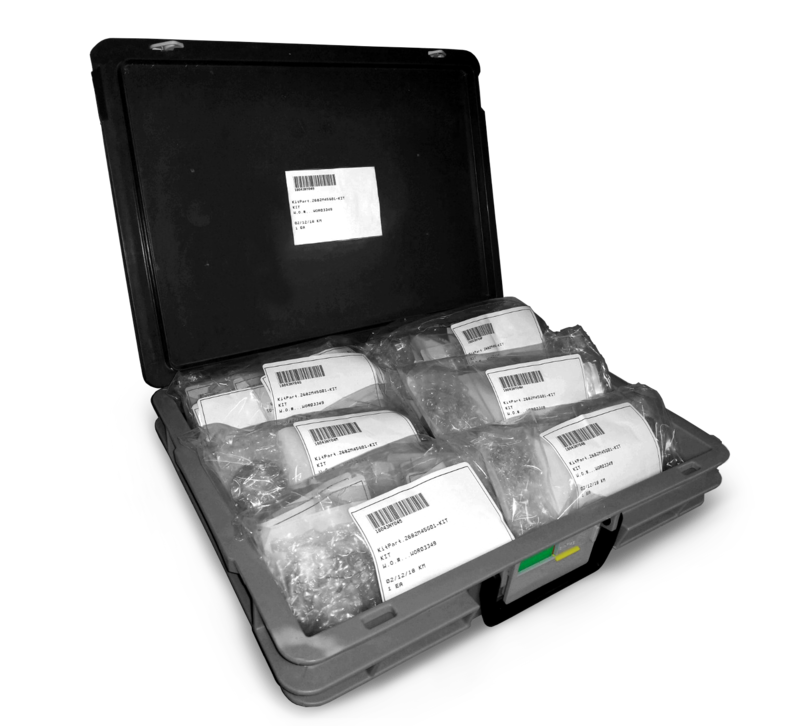 Orkal will supply bar-coded kits which are scanned at the point-of-use when kit stock needs replenishment. 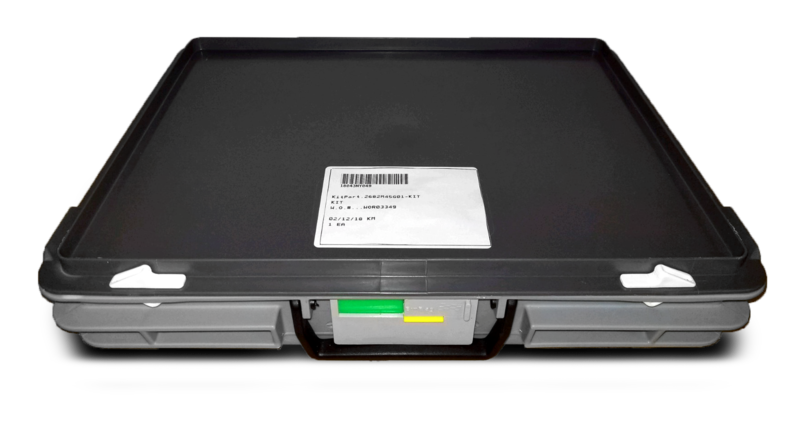 Scanned kits are automatically packaged and labeled for direct transfer to point-of-use.